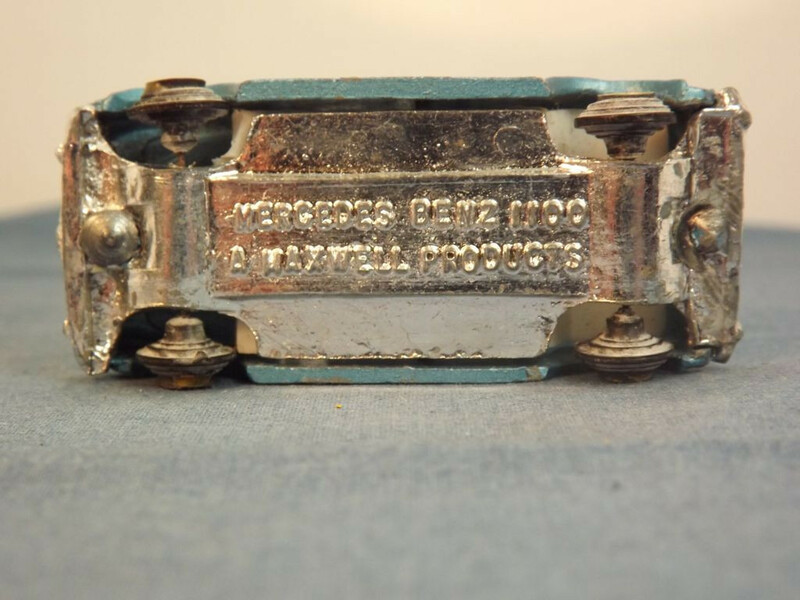 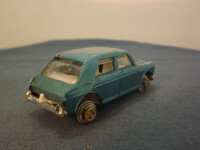 This item appears to be a copy of the Lesney Matchbox MB64-b MG 1100 and may have used the original dies from Lesney as Maxwell is well known to have used surplus, worn out dies from Lesney, Budgie, and Corgi to produce its toys in India. 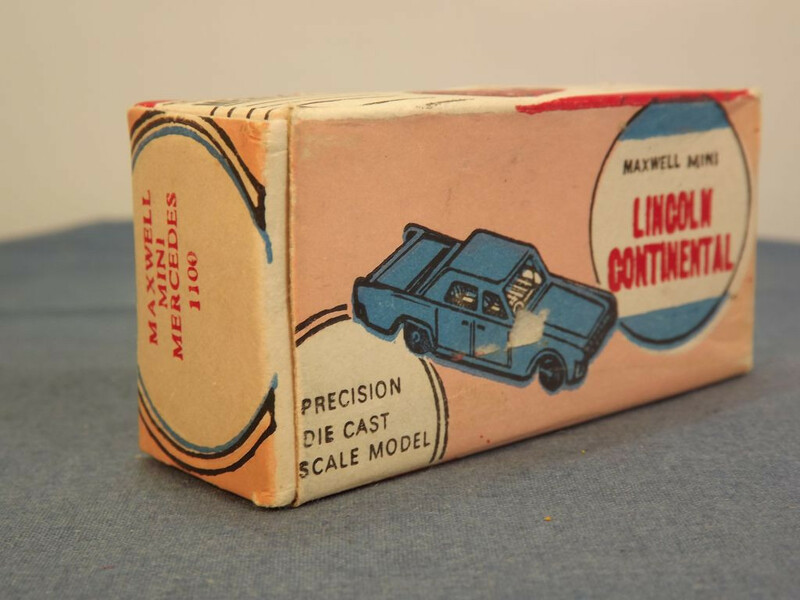 This model is the Maxwell No. 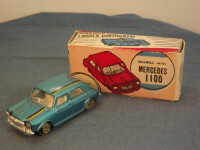 505 Mercedes Benz 1100 in metallic blue. 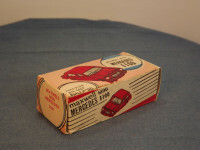 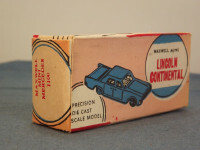 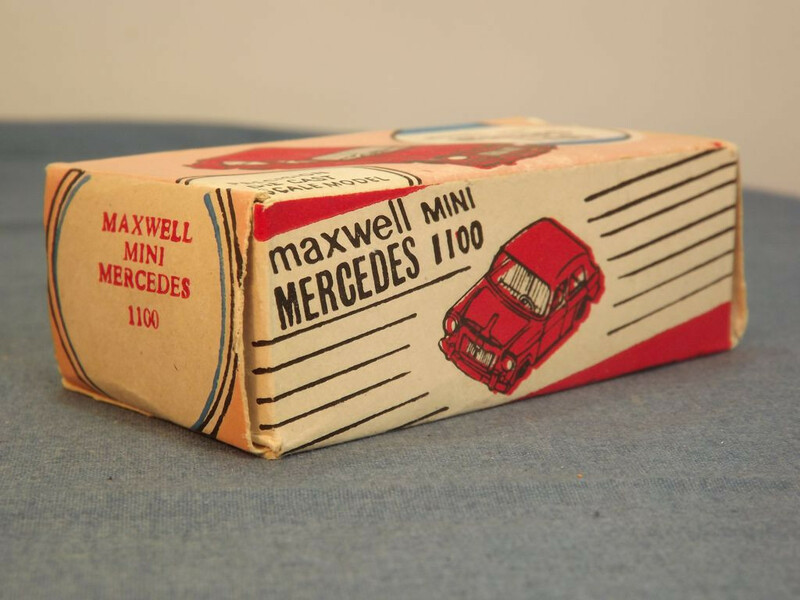 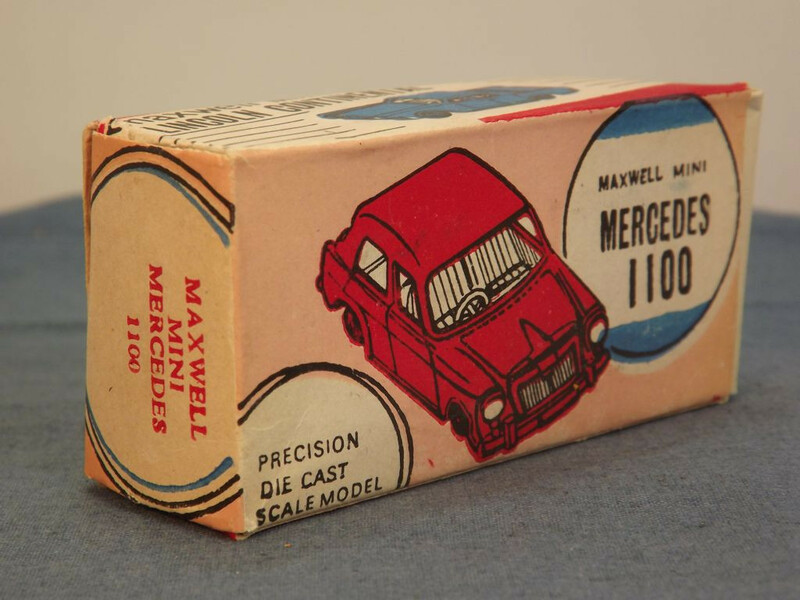 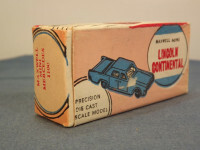 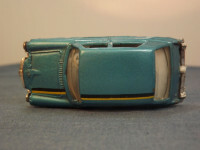 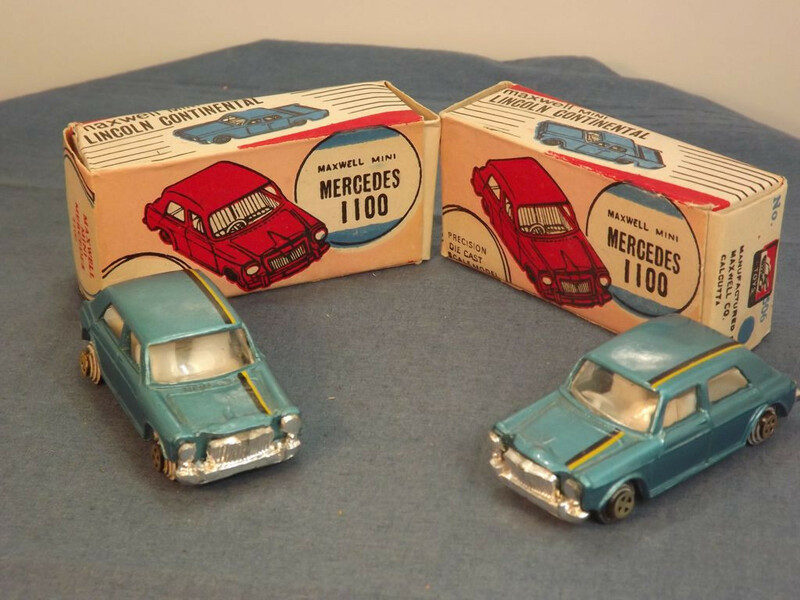 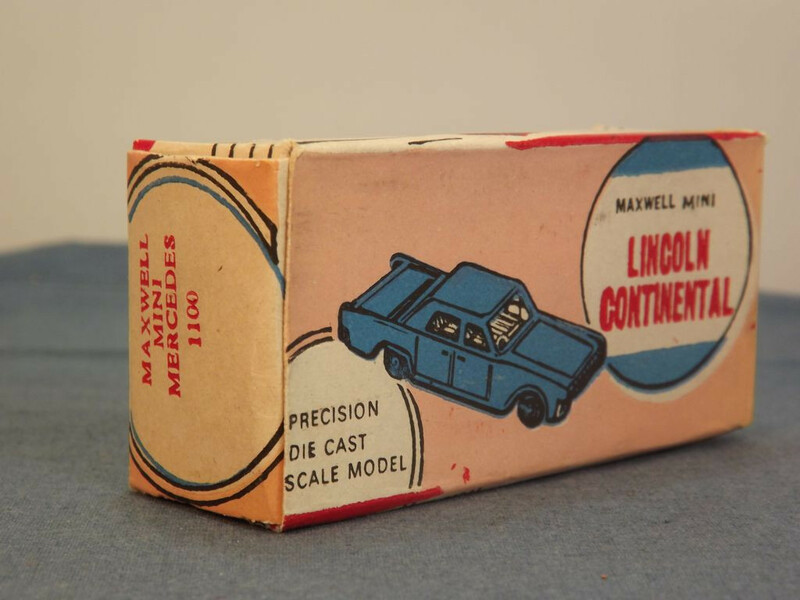 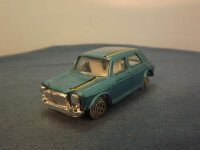 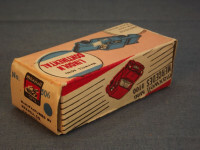 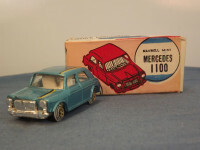 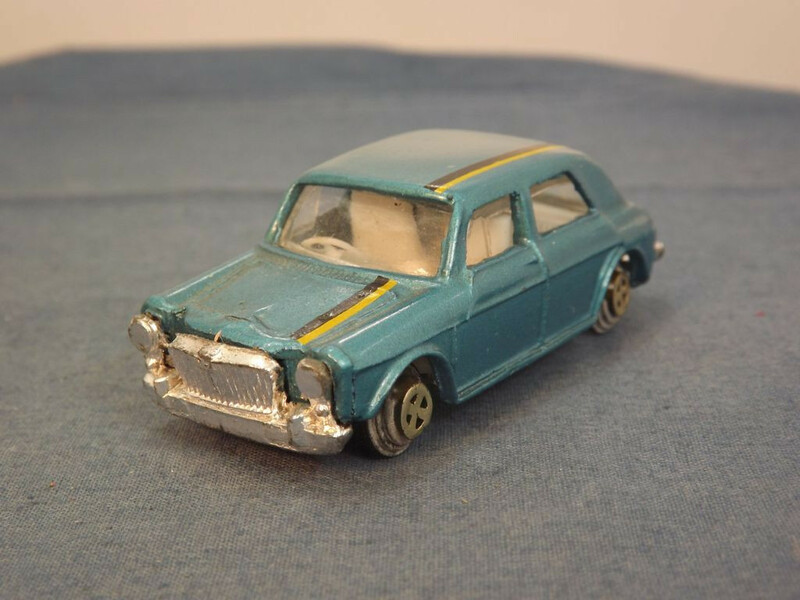 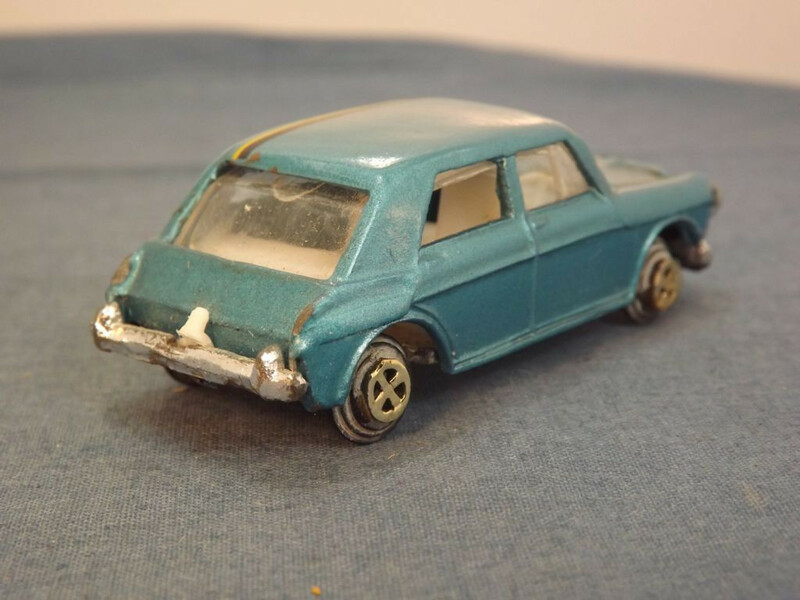 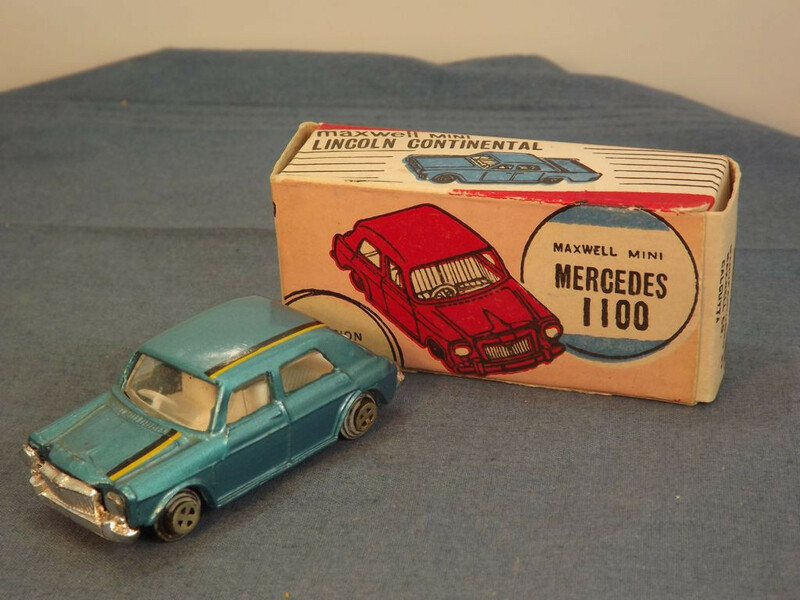 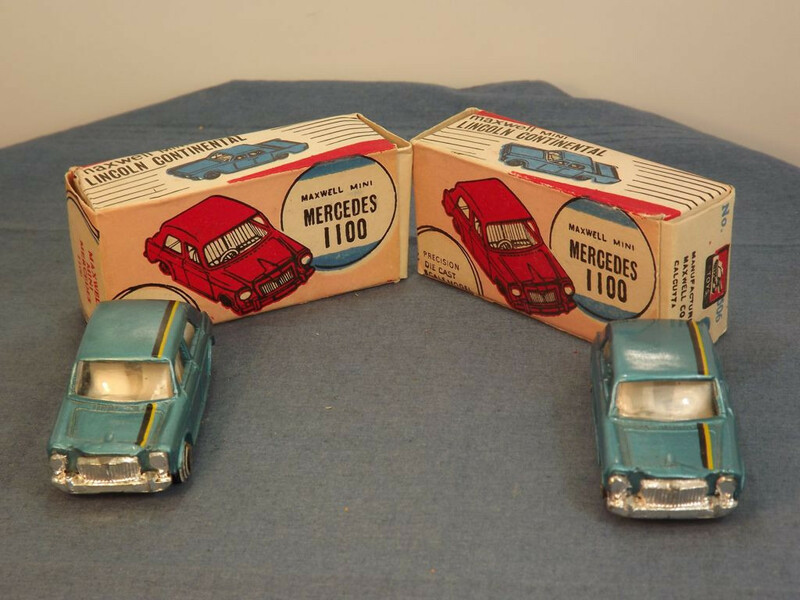 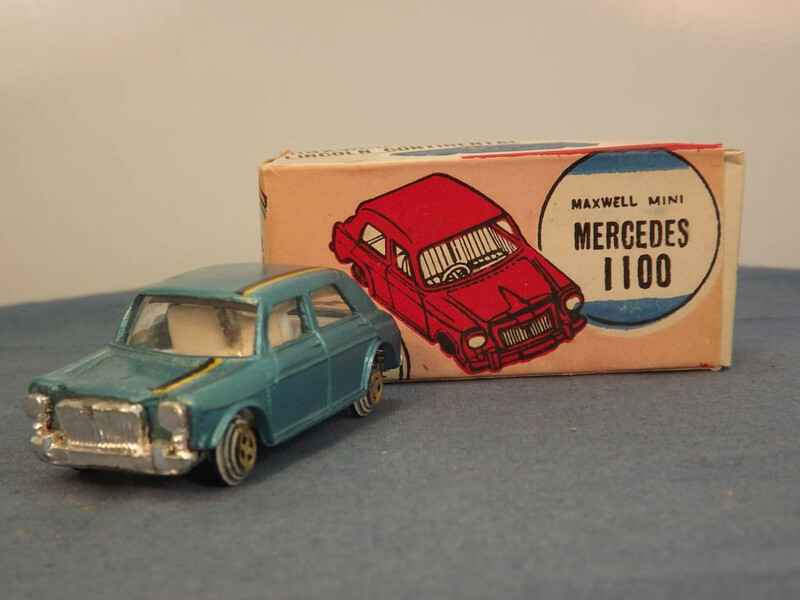 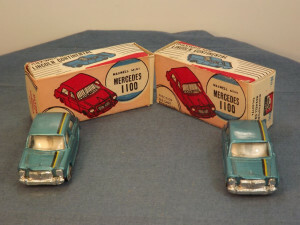 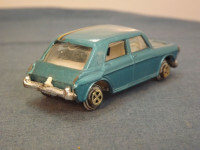 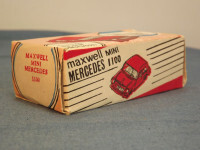 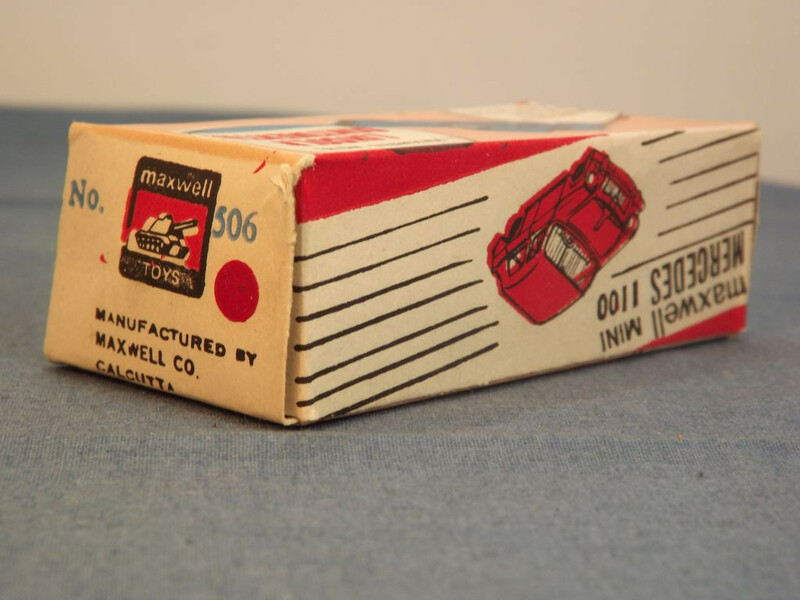 It comes packed in the original Maxwell Mini Mercedes 1100 cardboard box (which also appears to double as the box for the Lincoln Continental model). 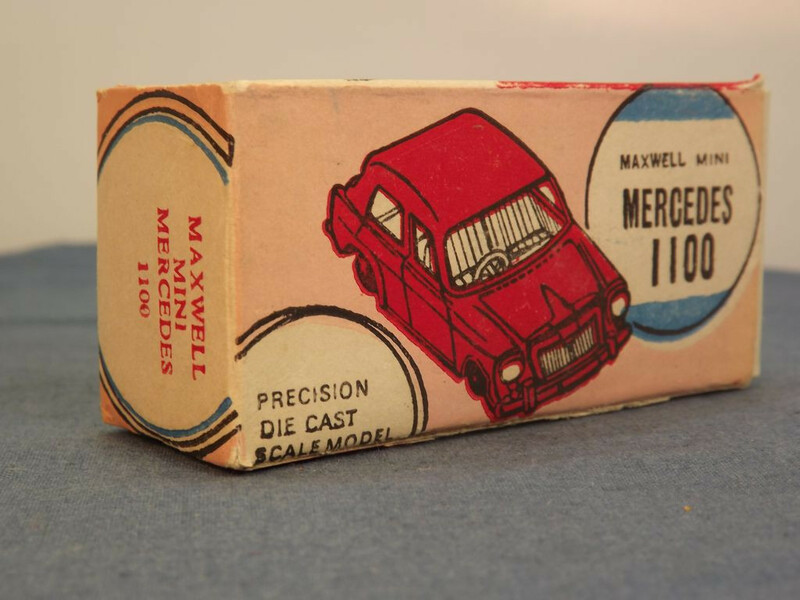 The model has no opening parts and is crude in its styling as is common with many of the Maxwell vehicles. 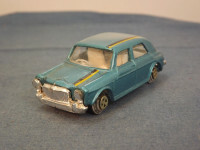 The vehicle body is metallic blue cast metal with the front lights, grille, bumpers, and number plates being incorporated into the separate chrome plated casting that forms the base. 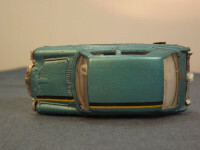 The interior is all white plastic and all glazing is clear. All wheels are crude black plastic units incorporating tyre and the "hub" which has a 4 spoke pattern. 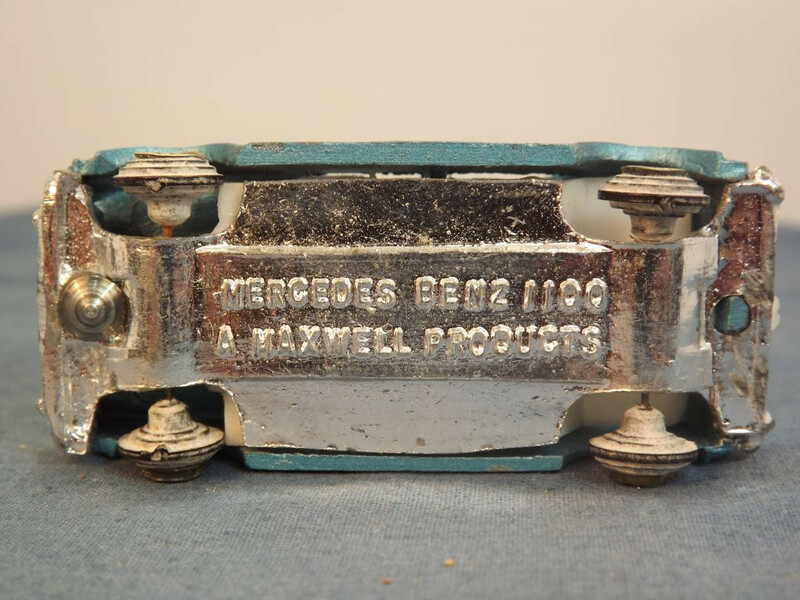 The base plate is chromed metal that also forms the shape of the front and rear bumpers, grille and headlights. 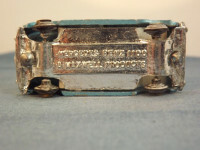 It is held in place by two machined rivets at the front and rear. 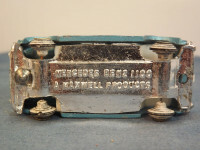 It carries the legends "Mercedes Benz 1100" and "A Maxwell Products" (sic) at the middle centre on two lines. 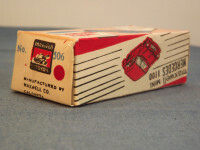 It is not marked with the country of origin. 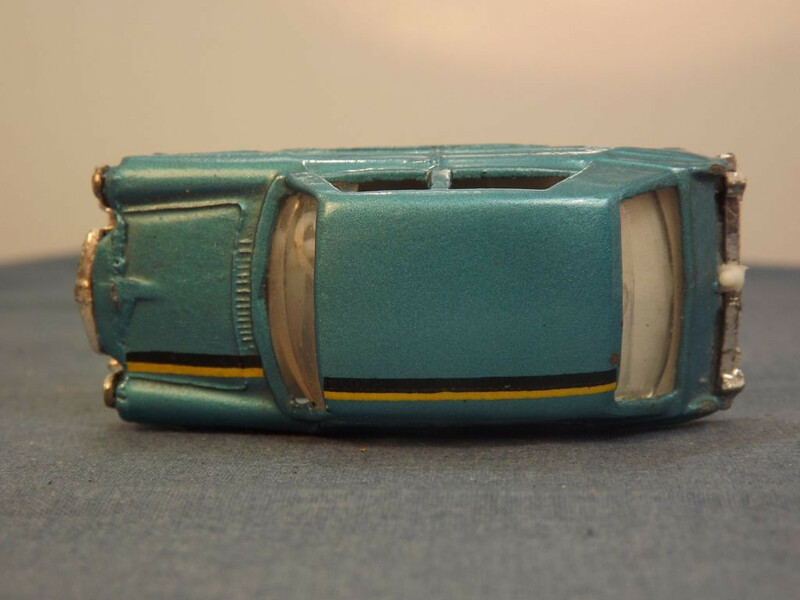 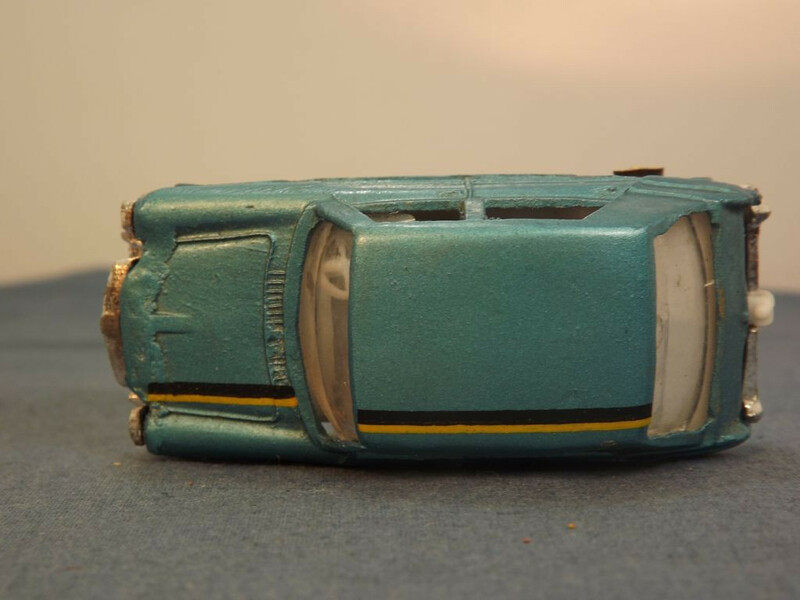 I am uncertain as to when this was released but assume it was after production of the Lesney item ceased circa 1970.